WARNING! This is a lengthy post. As Miss Earth 2018 begins to heat up, I’ve decided to update this thread which I posted last year. I mean for this to serve as a guide for the uninitiated on the various mechanics of Miss Earth. Miss Earth is fun to follow but it could also be very confusing for a new follower. My goal is to help minimize this confusion. Disclaimer: I’m not in any way or form connected with Carousel. This article is based purely on my observations as a fan. The women are divided into three groups of about 30 each right from the start of the pageant. This year, the groups are named Fire, Water, and Air. An equal number of women from each continent are represented in each group so as to maximize the interactions of many cultures. Assignments appear to be random so that it’s not unusual for one group to have more fan favorites. Each group has its own assigned itinerary and activities. The women in each group also compete in various medal events. During the almost month long pageant, expect the women to perform school tours, attend various environmental activities such as tree/mangrove plantings, beach clean ups, seminars, etc, and attend various charities. In between, they also get to visit the many sponsors made up of various hotels, restaurants, malls, stores, and shops. Expect newspaper, TV, and radio guestings to help promote the pageant. They will also travel all over the Philippines to visit many resort towns and eco tourist sites. Each group will have its assigned localities. So while one group is touring the North, another group might be touring the South. And to make matters more confusing, the women in each group are at times divided in various sub-groups so many more islands can get visited. Expect all the women to come together though to compete in the major preliminary judging events. These are usually scheduled towards the end. The winners of each event receive medals and various prizes from sponsoring groups and localities. In addition, the various sponsors might hand out special awards to help promote their brands. Other special awards handed out throughout the pageant include Darling of the Press, Miss Photogenic, Miss Friendship, Best Earth Warrior, and Best in Eco Video. HOWEVER, THESE HAVE NOTHING TO DO WITH THE PRELIMINARY JUDGING EVENTS WHICH DETERMINE THE TOP 16 (OR POSSIBLY 18 THIS YEAR). So don’t get discouraged if your bet wins little. Winning these mini competitions does give a ND and his/her delegate bragging rights, is a nice confidence booster, helps create momentum, and enables us fans to cheer for our favorites. Plus there may be associated cash prizes. It also helps keep up the excitement level during the near month long competition. Unless Carousel decides to make last minute changes, expect there to be three major preliminary pre-judging events on three separate days. Expect a different set of expert judges for each category. And these events are available to be viewed live on FB for transparency's sake. 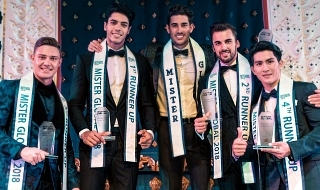 Although Carousel has yet to confirm the system that’s in effect, it is widely known that the semifinalists are made up of the top scorers from each of the four continents. The number of placements from each continent appears to be directly proportional to the number of delegates from each, although the organization appears to have deviated from this on one occasion. Let’s see what they decide to do this year. So if your bet fails to make it, it only means that she has been outscored by others in her continent. Don’t put the blame on another continent’s delegate. Many fans have made this mistake. It appears that a total of 18 semifinalists will be chosen this year in celebration of the pageant’s 18th year. And unless Carousel changes the format for this year (note that Miss Earth Philippines 2018 had a slightly different format so Miss Earth 2018 might follow suit) expect the top scorers from each preliminary judging event to be announced right after the opening number. The org adopted this measure so more women receive due recognition. 1. As each semifinalist in her evening gown is called, the woman struts into the middle of the stage to be judged on Beauty of Face and Poise. 2. After a brief parade in their swimwear, eight women are called to be judged on Form and Figure. 3. Then the eight women compete once again in the dreaded Hashtag portion. 4. This is followed by the announcement of the top 4 who then proceed to answer a final question. 5. 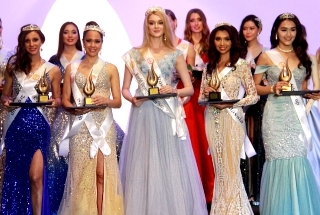 Announcement of winners - Misses Fire, Water, Air (all in equal standing) and the next Miss Earth. 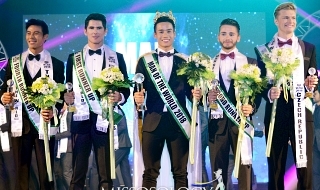 Unlike some of its competitors, Miss Earth is judged by an international judging panel and all scores are tabulated by a reputable auditing firm. I will update this thread if Carousel adopts some changes in the format. HOPE THIS HELPS AND THANKS FOR BEING A PART OF MISS EARTH THIS YEAR! Last edited by Handsama on Wed Oct 03, 2018 10:55 pm, edited 3 times in total. This guide is meant to educate anyone who is interested in Miss Earth. Please spare this thread from hateful comments. Great job Handsama. Extensive review of the Miss Earth system. Very informative to the newbies. If only everyone understands this, there will be less questions and bashing during the Miss Earth season. GREAT JOB HANDSAMA. VERY INFORMATIVE. Geeyourhair wrote: Great job Handsama. Extensive review of the Miss Earth system. Very informative to the newbies. If only everyone understands this, there will be less questions and bashing during the Miss Earth season. "If" only but due to a debilitating prejudice the fat fact is that Ms Earth detractors and haters refuse to process what appears reasonable and valid explanation. To exacerbate the problem, they allow hatred, envy, and ill-will to consume their self-entitlement. Matter over mind instead of the other way around seems a classic example in this case. Rather sad and incomprehensible behavior! Kudos to the TS for a superior must-read! Beauty is 35%. Can a girl who scores zero on Beauty win? AN ENJOYABLE READ. ONCE AGAIN HANDSAMA YOU'VE ENTERTAINED AND EDUCATED US WITH YOUR SMART POSTS. Jonathan Nguyen wrote: Beauty is 35%. Can a girl who scores zero on Beauty win? NO ZERO SCORES FOR ANY CATEGORY BUT IF A DELEGATE IS AS STUPID AS YOU, SURELY SHE CAN KISS VICTORY GOODBYE. The scoring system based on what I heard on one live streaming of a preliminary event is between 75 to 100. Mr. Monzon oriented each judges about the criteria and how to score each delegate ranging from minimum of 75 points to a maximum of 100 points. There was no final ranking ballot but instead the judges scored each finalist from 75 to 100 based on her answer in the final question, overall impression and the job qualification as environmental ambassadress. And you were trying to dupe readers by saying that you were not hating on Filipina queens in one of your self-intoned defenses? If you deny this I'll reprint the exact thread to refresh your memory. If the recent Miss Earth Philippines format is followed, I think number two will be different? They went from 18 to 10. They slightly changed the mechanics. They stuck with calling the 18 semi finalists then instant competition mode to beauty of face & poise. Then, with all of the 18 still in gowns, 10 were called for the hashtag round. Afterwards, they reverted back to the traditional swimsuit per candidate pasarela. Then all of the 10 candidates are on stage with earphones (guess they have budget for earphones haha) so the nerve wracking part? You wouldn’t know if you reached the final round to answer the final q&a. So aside from not knowing the final question, you are also uncertain if you even have the chance to answer the final question. 2. The hybrid second round. Hashtags first. Then traditional swimsuit. I think the intention is to give the chance to girls who faltered during hashtag to redeem themselves during SS round. Contrary to popular belief, this isn’t because of Thailand. Judging on their reaction during finals last year, I can safely say that Mr. Monzon was rooting for NETHERLANDS. Similar to Miriam Quiambao in Miss Universe 1999. Her casual interview was sort of terrible. She was speaking non sense and very stiff. But girl was impeccable during EG and SS that is why she went on as far as 1st RU. I am just speculating here but maybe they were listening to the fans? BUT in no way they are meddling the results. The best they can donis to tweak the format, orient the judges, then it’s all up to the girls and the judges. Whoever the winners are as tabulated by SGV wins - no deliberations or whatnot. Manoypoe, I think Jonathan is asking if she can win the pageant. filipinoako28 wrote: If the recent Miss Earth Philippines format is followed, I think number two will be different? They went from 18 to 10. Thanks for pointing this out, amigo. I was aware of the format change at MEP (which I also liked) but I chose to err on the side of caution by posting last year’s Miss Earth format. I was waiting to see for someone with inside knowledge to reveal this year’s format (will it follow MEP 2018) before I make an update. WE KNOW WHAT HE WANTS TO IMPLY. I am hoping that to bring back the 2016 format.